Dotted with convenient amenities, first-rate schools and easy access to public transportation, Bayside truly offers quiet suburban living in the midst of the world’s greatest city. The region is marked by meticulously manicured lawns and mature trees around every corner. Quick to enjoy the warm weather, many Bayside residents are often found enjoying its many public parks, while others create bonds with neighbors across expansive front lawns and over backyard fences. An idyllic community for families, Bayside is known for its high-ranking schools, which are often recognized as some of the best in the state of New York. 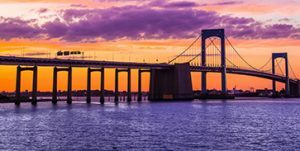 It also offers families a wide array of recreational and educational activities through its golf courses, parks, The Alley Pond Environmental Center and Fort Totten Park, a preserved Civil War fortress. Easy commuting, tranquil settings, and a tight-knit, protective community. At Bayside, there is little left to want or need. Find out more by contacting our offices and scheduling a tour of the area now. ©2018 Bobby Gellert SONYM - Do not copy. All rights reserved.